Thanks to HISSTANK.com boards member Oreobuilder for posting up his G.I. Joe Modern Era Action Force Steeler Custom! Check out all the Action Force Steeler images after the jump. Just a quick High-Res picture update for the SDCC 2015 G.I. Joe 50th Anniversary box sets. 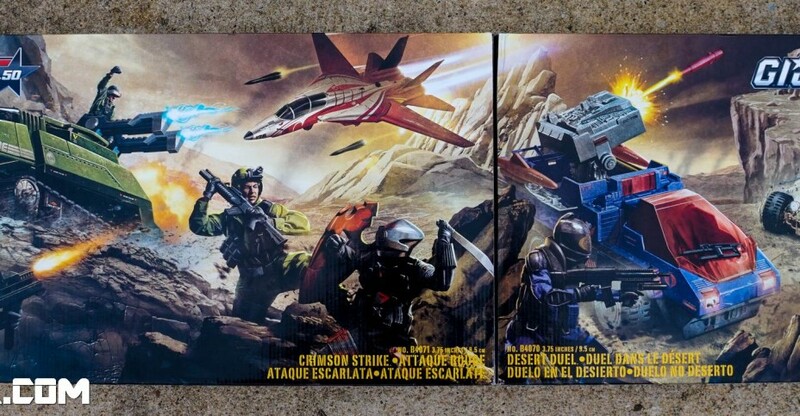 If you take the Desert Duel and Crimson Strike boxes, and merge them, you get one huge art print to display in your G.I. Joe collection. Check out the new SDCC 2015 G.I. Joe 50th Anniversary art after the jump. 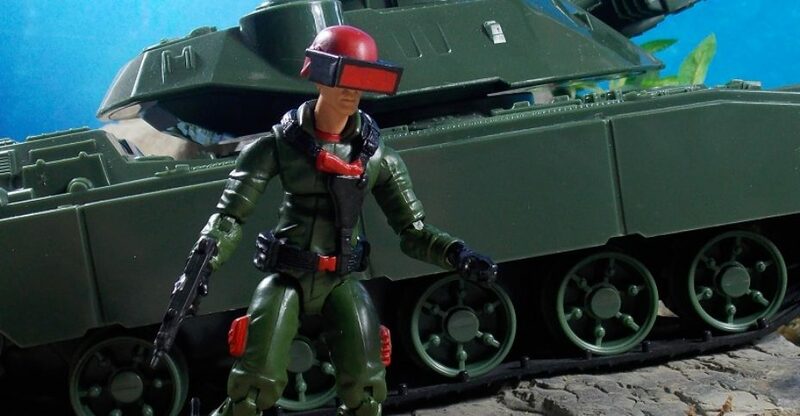 G.I.Joe Chimera – An army green H.I.S.S. Tank equipped with a rail gun. You’ll be able to get your hands on this set at SDCC 2015, or after the show on HasbroToyShop if there are any remaining after the show. We’ve mirrored some of Krymsyn’s review images here, but make sure to check out the entire review on The 788th Armored Division Blogspot. Steeler entered Armor school at Fort Knox, and graduated top of his class. Coming from a background in which you proved your mettle through physical contests, he frequently challenges team members to test of strength and stamina. During one mission, he blasts straight into battle in the prototype G.I. Joe Chimera tank to defend a city from Cobra forces that are attacking from the air and on the ground. Check out over 20+ high res images and our quick thoughts after the break, courtesy of Hasbro. As you know, or in case you haven’t yet heard, our good friend 3DJoes is putting together a book that collects all of the painted art of G.I. Joe from 1982 and 1983. He’s come across a piece in a recent search and thankfully, he’s shared it here with us! “Operation Decoy” was the title for a Super-Size coloring book released in 1983. 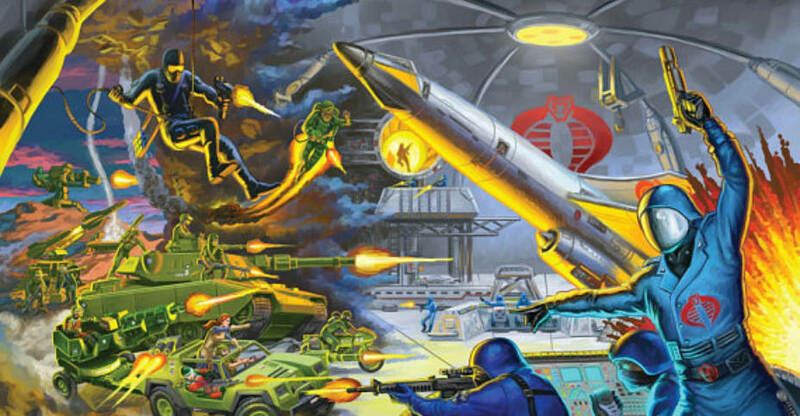 This classic piece of ARAH artwork shows members from the original line up of G.I.Joe, such has Scarlett, Breaker and Stalker, heading off to fight for freedom where ever there’s trouble! This piece will become the last page of the aforementioned book, so you’ll have a chance to add it to your collection! 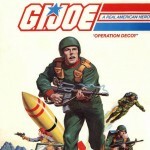 You can check out more amazing art from Mr. Earl Norem, including art for G.I.Joe, Transformers, He-Man and more by visiting the Official Earl Norem Art Facebook Page.